Imagine medieval castle towns, breathtaking volcanic islands, fairytale Venetian harbors, postcard-pretty old towns in the middle of endless forests, suspended villages at the edge of cliffs above the sea, spectacular whitewashed settlements and historic cities been continuously inhabited for thousands of years – and then, idyllic retreats with elegant surroundings, majestic panoramic views, luxurious feeling and up-level standards. If you were a honeymooner, a spouse or an incurable lover, wouldn’t you live ultimate moments with your other half in a romantic setting like the above mentioned? 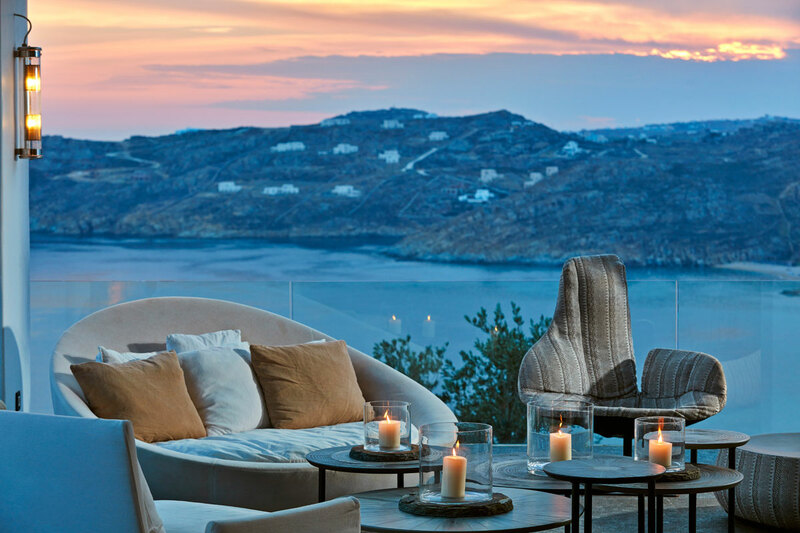 Of course, this is Greece, and here is a selection of our 10 favorite highly-aesthetic hotels in some of the most promising romantic Greek gateways. 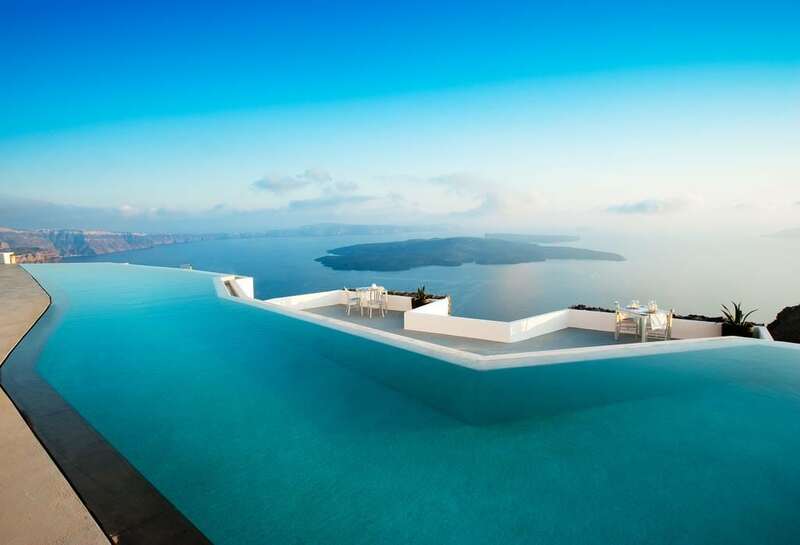 Grace Santorini is an ultra-chic boutique hotel, located on Imerovigli village of Santorini, overlooking the Aegean Sea over the edge of a cliff. Its modernized minimalist design is in harmony with the wild nature of the island and the caldera while the infinity pool offers dazzling views and sumptuous sunsets. Experience some of the best cocktails and champagnes in the Champagne Lounge and live some memorable moments with your other half. If you search an ideal hideaway for romantic couples and newlyweds, Canaves Oia Hotel is the right place! 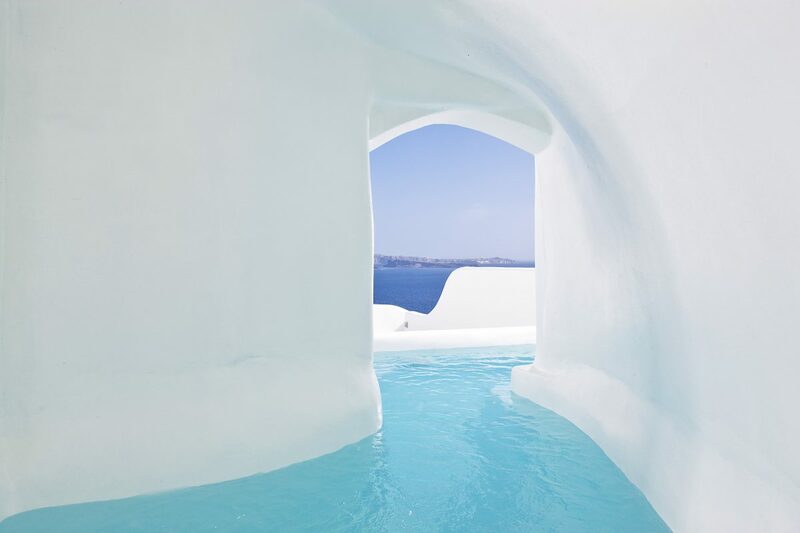 This holiday haven for celebrities and politicians offers suites in real caves elegantly decorated in a sparkling minimal white with private plunge pools. Relax in the infinity pool or in the private verandas with uninterrupted panoramic views to the Caldera and the Aegean Sea while sipping a refreshing smoothie and enjoy unique moments which will surprise even the most eclectic guests. 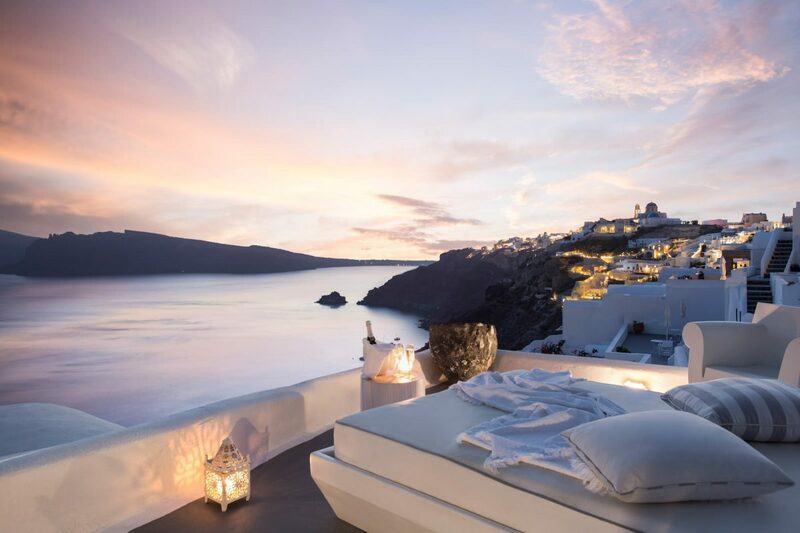 Experience unique idyllic Santorini atmosphere with accommodation beyond any imagination in the luxurious Kirini hotel in Oia. 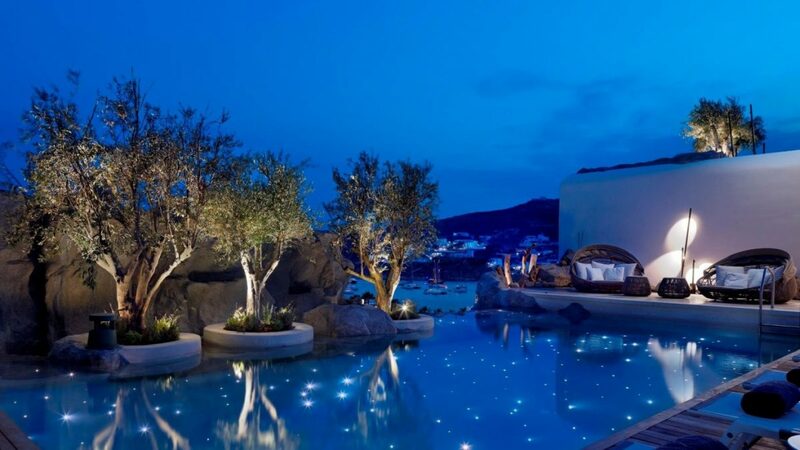 Enjoy majestic views to the blue waters of the Aegean Sea, relax at the outdoor swimming pool, have a refreshing treatment trip in the spa facilities of the hotel and get thrilled with the gourmet meals at Anthós Restaurant and the exclusive drinks of Pool Lounge & Cocktail Bar. 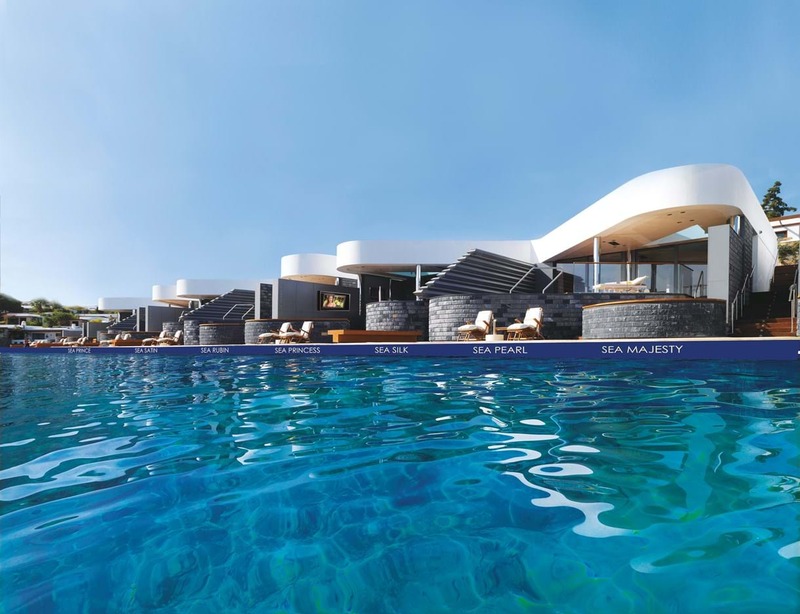 Located on Elia Beach, the longest fine sand beach on Mykonos, Myconian Avaton is built into the bare rock and decorated in respect to the Cycladic style with modern details. Live a mesmerizing experience while relaxing in the panoramic decks and the private balconies with the infinity pools and the dramatic views and enjoying their personalized services, such as the superb spa and a fining dining. Whatever you choose among a private Jacuzzi, a private pool or simply, a private window to the iridescent Aegean Sea, you will indulge in the beauty in the simplicity of this luxurious retreat. Kenshō Boutique Hotel & Suites is a great combination of Myconian traditional architecture and modern luxury where the elegant design of natural stone with aged wood blends smoothly with the Aegean architecture. Artist-designers are responsible for authentic pieces of artwork promoting minimalism, an integral characteristic of the land and light of Cyclades. The roof garden overlooking the sea and the mountains is outstanding while amenities such as Jacuzzis and private plunge pools create a unique experience. In the Kenshō lounge, modern Mediterranean cuisine is offered using ethnic flavors and creating gourmet dishes which taste heavenly. 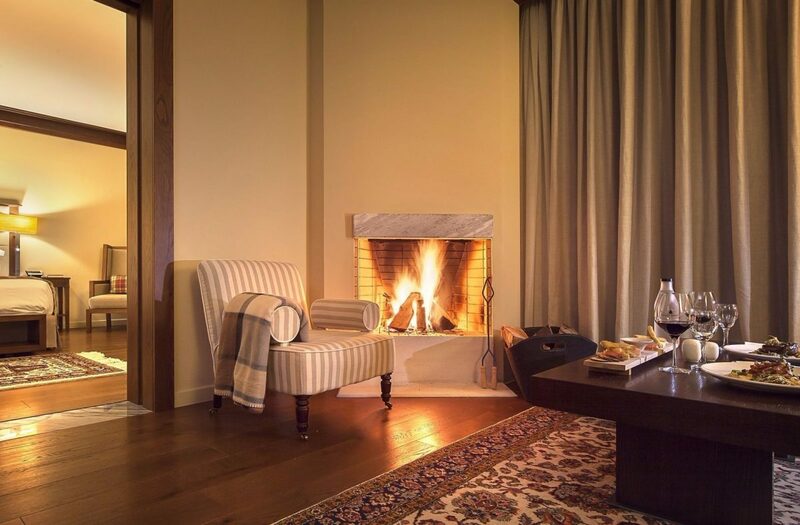 Whether winter or summer, Grand Forest in Metsovo offers uninterrupted forest views to the surrounding high mountains from the large windows of your suite while large fireplaces and elegant furnishings dominate the space. 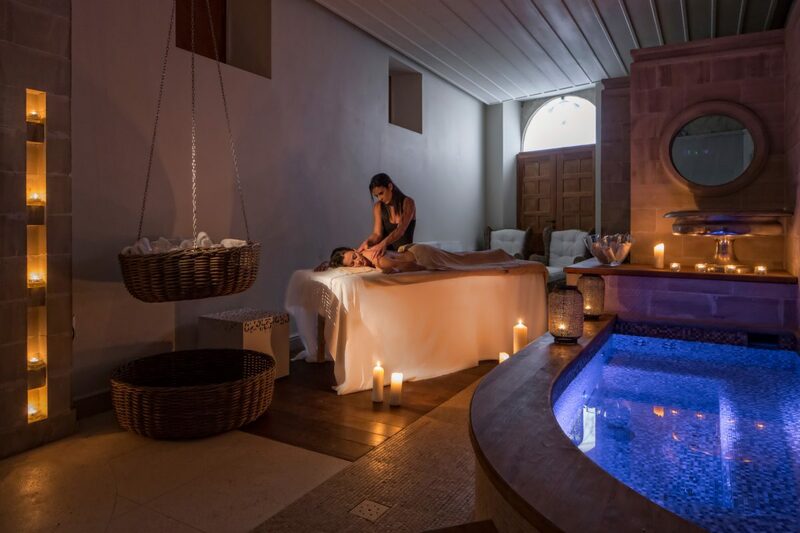 Feel the relaxing ambiance of the hotel and enjoy a unique rejuvenation treatment in Fontus Spa or choose through dozens of activities that the nature of Metsovo offers such as horseback riding, trekking, and fishing in the private river of the hotel. 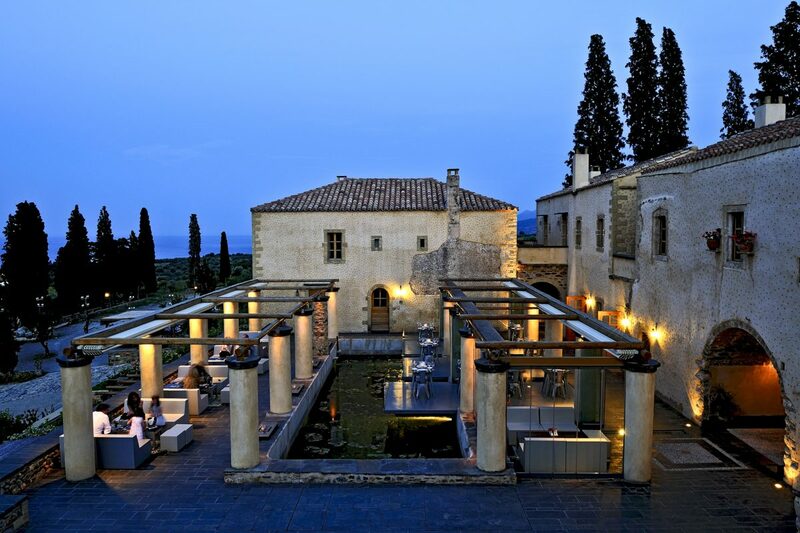 Kinsterna Hotel is a great example of how a 13th century historic Byzantine mansion has transformed into a magnificent couples retreat preserving all of these elements of its enduring history. Internationally awarded, Kinsterna Hotel revives the bygone activities of the mansions such as the bread making and the production of its own extra virgin olive oil and wine while offers luxurious amenities in the stone walls rooms with the barrel-vault ceilings, the atmospheric suites, the excellent restaurant, and the enormous swimming pool and spa. Not to miss the beautiful views of the island-fortified medieval town of Monemvasia while experiencing a glass of local wine. Situated in the middle of two charming bays, Elounda Beach Hotel & Villas offers both chic atmosphere and outstanding service at the waterfront of Mirabello Bay at Crete’s northern coast. In the spacious area of the resort, premium suites and villas with private heated pools, luxury bungalows, almost at the water’s edge with magnificent views of the horizon and direct access to the sea and sea view deluxe rooms create a great variety of choices. Amenities do not stop here as seven restaurants and four lounges with unforgettable culinary flavors and refreshing cocktails in memorable settings, two private sandy beaches, and a spa center complete the splendor of luxury. Located in the heart of the walled Old Venetian Town of Chania, Casa Delfino Hotel & Spa is a boutique hotel housed in a 17th-century Venetian mansion. The renaissance atmosphere of the building is well combined with the fresh contemporary design giving to the place a distinctive style of refined elegance. Choose one of the elegant suites with its own character and style, enjoy the splendid of Chania town and romantic views from the roof terrace, relax at the spa where you can retreat in absolute privacy or simply spend your time with your other half in the romantic oasis of the pebbled courtyard. 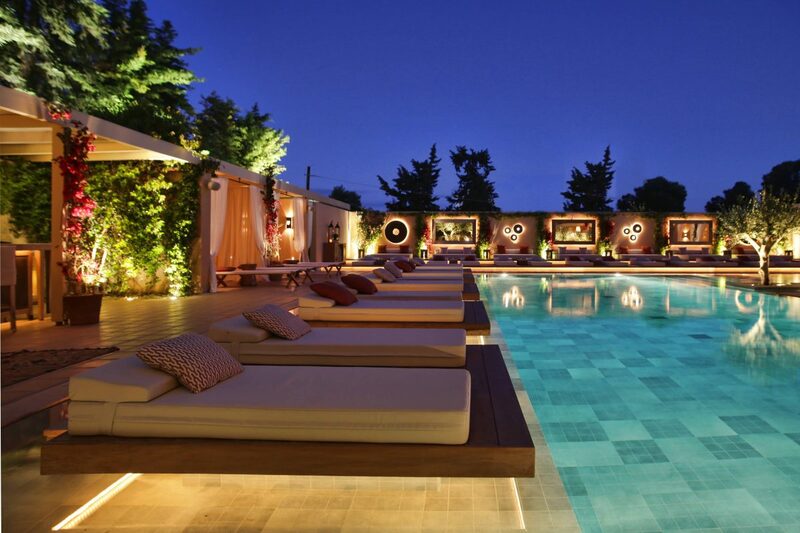 The Margi Athens is a boutique hotel in the most exclusive area of the Athenian Riviera, the one-and-only urban palm tree-lined esplanades in a European capital with idyllic beaches and a great flavor of Mediterranean coastline. Close enough to Athens Historical sites, it is a heaven away from home where the chic atmosphere with artwork from all corners of the world is in harmony with the high service standards creating a comfortable ambiance for lovers all year around. The elegant spacey rooms, the impressive pool space embellished with pinky bougainvillea and olive trees, the treatment spa rooms and the fine dining spaces with the superb cuisine made from its farm’s organic ingredients offer a memorable experience.